FINRA has barred Red River Securities, a broker-dealer formerly out of Plano, Tax, and its Chief Executive Officer Keith Hardwick for fraudulently selling five oil and gas joint ventures, calling the actions of both “egregious.” A FINRA panel mandated the firm and Hardwick pay $24.6 million in restitution to its clients. One client affected was a seventy-four year old, self-employed farmer and dog breeder who had a net worth of $2 million, liquidity of $20,000, and $150,000 in annual income. 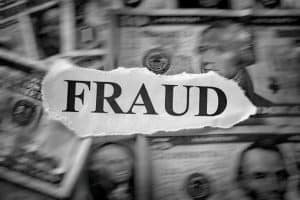 With these facts, the FINRA panel found that her investment of $94,754, which was much more than half of her yearly income, in three high-risk oil and gas ventures within one year, was unsuitable. The panel found that Red River Securities and Hardwick had performed a pattern of misrepresentations and omissions that lasted almost four years and involved sales in the high-risk joint ventures. The panel stated that the oil and gas joint ventures, risky by their very nature, also misrepresented how much income distributed to investors in other Regal Entity joint ventures, failed to disclose material conflicts of interest, and also failed to disclose that one the wells was a “wildcat,” which had more risks in addition to those normally associated with oil and gas joint ventures. Further, the firm and Hardwick omitted material information about the sizable management fees that would be paid to the affiliated entity and failed to disclose Hardwick’s participation in drafting an independent geologist’s report, the regulator stated. When broker-dealers have histories of lying, this can potentially have catastrophic effects on their clients. The Frankowski Firm has years of experience representing investors who have lost money as the result of brokers’ schemes. If you or someone you know has lost money as a result of such a scheme, please contact Richard Frankowski at 888-741-7503 to discuss your potential legal remedies or complete the contact form.